The Movember Foundation is a global nonprofit focused on raising funds and awareness around men’s health issues. They generate a majority of donations through a campaign each November, during which participants sign-up and solicit donations for the cause. Movember is an annual moustache-growing charity event designed to raise funds for men’s health issues. While the main event takes place in November, the campaign spends the rest of the year raising donations, signing up teams, and spreading awareness. Testing and optimizing Movember.com is a major part of this. 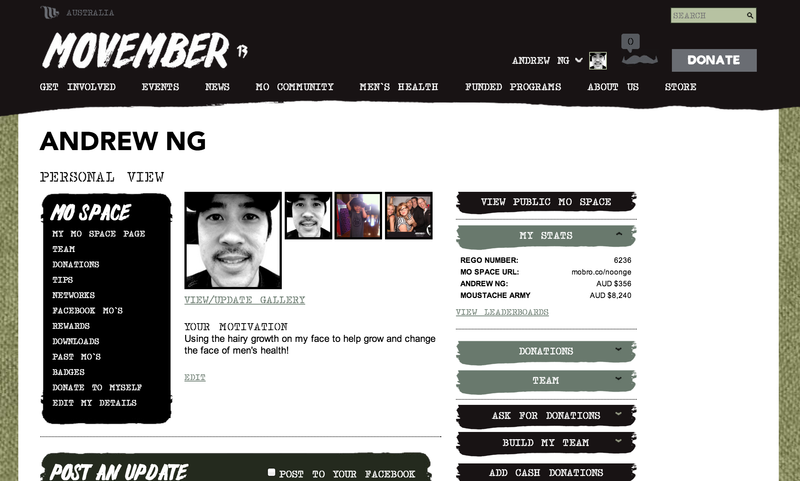 Before launching the campaign in November, Movember optimized the registration process to drive more participants. A big selling point of Movember is the team aspect – participants can join on their own, or as part of a friendly competition among friends, colleagues, family members, and more. Movember hypothesized that altering the homepage design to reflect this selling point would increase registrations. They experimented by testing the original, solid-print background against a background image featuring a crowd of people. Movember tested a CTA variation that was more prominently located in the upper righthand corner of the page and featured an image of a team. The crowd image background outperformed the original background, increasing registrations by 2.8%. On average, 1 million participants register for Movember. So, in this case, a 2.8% increase in conversions lead to ~28,000 more sign-ups. One of our key goals was to improve team participation because it had dropped off from the previous year. After optimizing the registration process, Movember looked to improve team participation in order to drive overall campaign engagment. They experimented with the ‘Build my team’ social sharing buttons on the participants' logged-in profile pages, testing the original sharing functionality against a more prominent option, moved to the upper righthand corner of the page. They also hypothesized that adding imagery around the team aspect would drive conversions, based on the results from the previous test. The more prominent, human-centric variation increased Facebook shares by 490% and email shares by 75%. 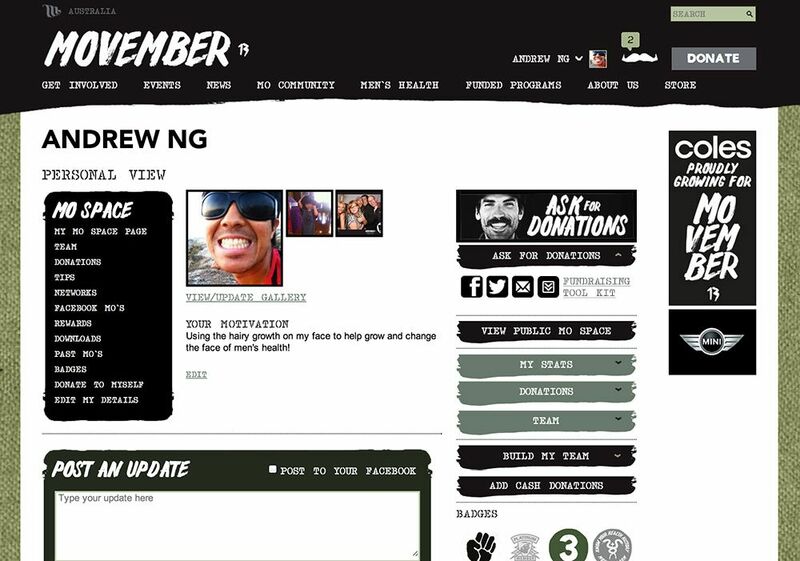 With the number of participants and teams optimized, Movember moved efforts to their donations objective, focusing primarily on the 'Ask for donations' CTA. Taking learnings from the previous test into consideration, the team hypothesized that increasing the prominence of the CTA and adding human-centric imagery would drive more clicks. Making the ‘Ask for donations’ CTA more prominent, with a human-centric image, increased fundraising asks via Facebook and email by 32% and 28% respectively. The winning variation featured a more prominent CTA and a human-centric image. If all the action happens one month out of the year, you might ask, why does Movember test its website year round? Many types of businesses have a busy season and traffic peak during specific times of the year—like Christmas for online retailers, long weekends for travel sites, November for Movember, etc. Since this timeframe is so paramount to success, testing teams should be optimizing their sites before, during, and after the massive influx of traffic. The most successful sites are ones that are continuously testing. 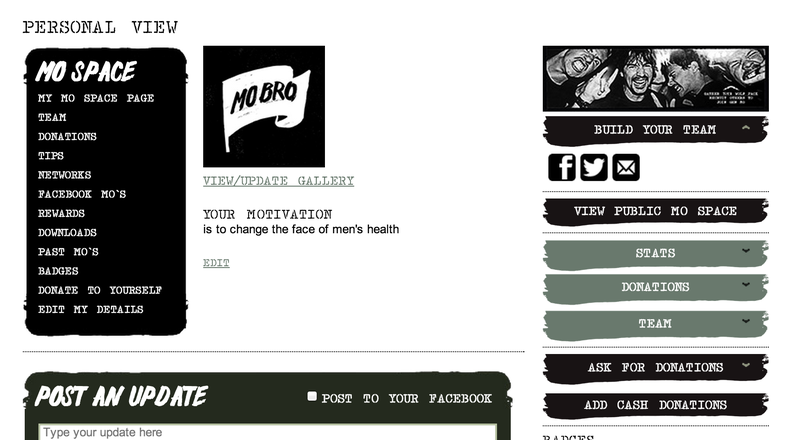 Like Movember, the business objectives of your website may change or evolve over time. Keep this in mind when building your testing strategy and always ensure you’re optimizing for the most important metric. The Movember team learned that particpants were more compelled to click on a CTA if there was a human-centric image displayed alongside it. If you find a variation that resonates well with site visitors – don’t stop there. Apply those findings to other aspects of your site and test it out. A small win on one page could mean a huge win sitewide. There’s a lot of passion involved in nonprofits. You’re driven, not just to do a job, but to do a good job for a good cause. We all have strong opinions and ideas about how things should be done. Optimizely tells us, out of this mix, which is the best way forward. Start with a 30-day free trial today!